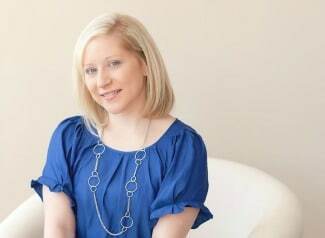 Magdalena of Oh So Chic Celebrations styled this Robin’s Egg Themed Baptism for two cousins. The color palette also included browns and golds. Magdalena designed the stationary, which included two birds to represent the two cousins. The theme and design of the stationary were used throughout the event, from the dessert tags, table numbers, special drink menu and entrance sign. The birds were also incorporated into the cookies, cake pops and cake. Another design element was the blue robin’s egg, which was used on top of the mini cupcakes and also served as the design for some of the cookies. What a lovely theme for a joint baptism celebration! 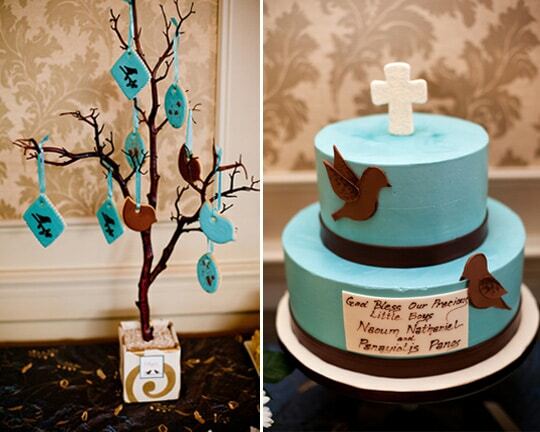 What’s your favorite detail in this Robin’s Egg Themed Baptism? Let us know in the comments below!